Around the turn of the century, my parents were constantly travelling around the Philippines teaching vermicomposting and organic farming. As it was, one of their clients constantly took them to Batangas, around a three-hour drive from Manila. And a convenient stop was Tagaytay, a beautiful city set along the ridge of the world-famous Taal Volcano. Also in this place was a small organic farm started by a young couple who were close friends and relatives of mine. My parents would often come to visit this farm, share their technology and exchange ideas as the owner, then a new chef, would cook for them in a tent by his garden. They started composting with African Nightcrawlers soon after and evolved into a productive farm producing high-value organic vegetables, a business that is continuously growing to this day. This farm eventually evolved into what is known today as Manuel Pedro Farms. 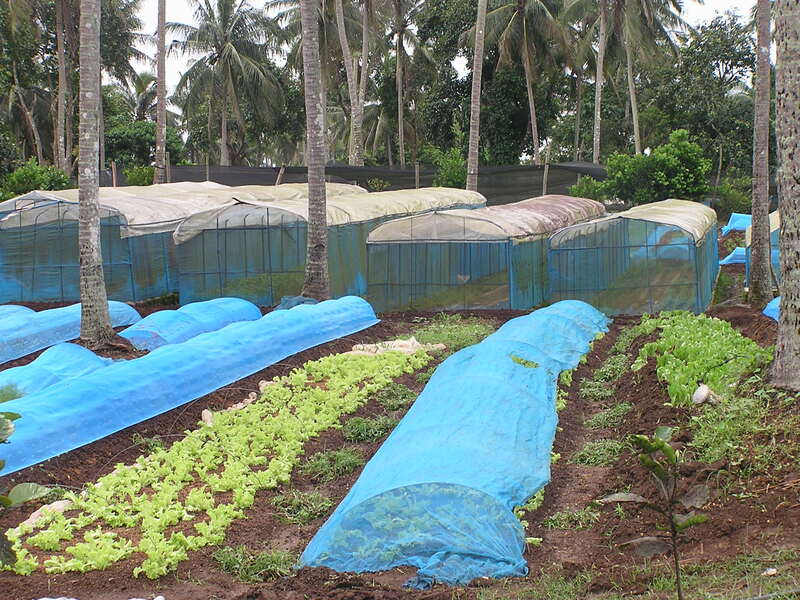 It supplies organic vegetables and herbs to restaurants and hotels around Manila. They also have free-range eggs and free-range chicken that they sell to specialty stores, specifically to families with special children that need chemical-free diets.. In a recent visit, the owner was getting excited about her organic pigs that were about to give birth in a few days. Today, Agnes Escalante is known around organic farming circles as the “Queen of Mezclune,” a reference to the gourmet mixed vegetables she grows out of three farms she now operates around Cavite province. 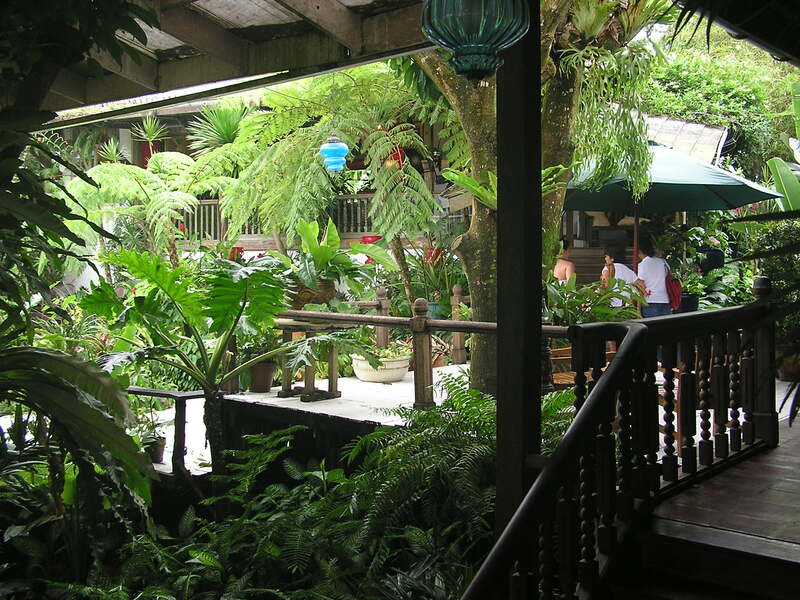 Perhaps the jewel of all that is the original farm in Tagaytay City. Their family now lives there, as well as a thriving restaurant which is making its mark in the Philippine culinary world. It still sits on that old sloping property in the sleepy barangay of Neogan . 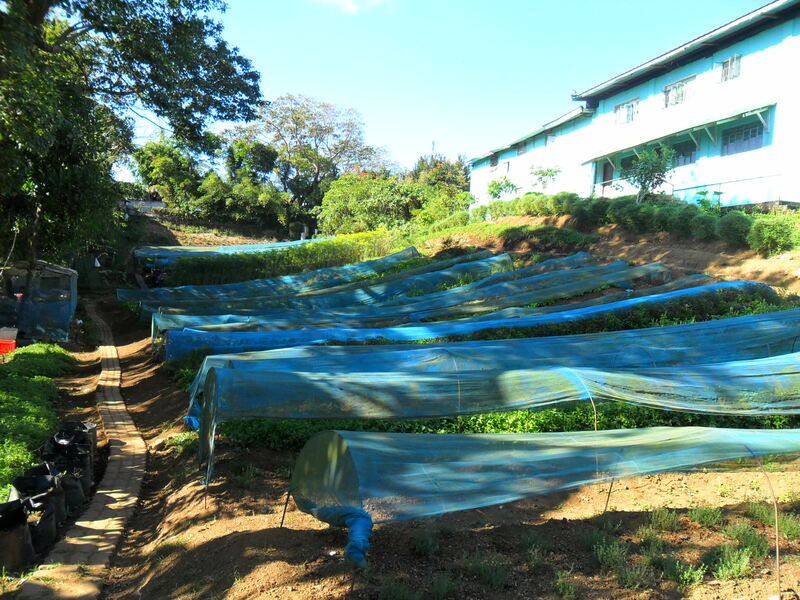 An organic farm planted to baby gourmet greens and herbs. This one, though, now simply devoted to supplying only one client. Not just any client, but arguably one of the best restaurants the Philippines has ever seen. Named after its charismatic chef patron, it is simply called Antonio’s. Incidentally, it also happens to be ranked number 5 on the 2010 Miele Guide to Asia’s Top 20 restaurants and has been there 3 years running, the only Philippine restaurant on the list last year. Just the next one in a growing list of awards he has garnered throughout its evolution. It would take another page to describe the food he serves, and I would be completely biased because he is one of my closest friends. Dining in Antonio’s is not a meal, it is an experience. Enough said, you have to try it to believe it. Last year, Tonyboy was judged by his peers as the best chef in the country. An industry honor deserving of a humble gentleman-farmer, who happened to create an organic farm that evolved into the culinary landmark that we see today. Antonio’s. An organic farm fully evolved. should write more on this issue, it may not be a taboo matter but usually people do not speak about these topics.